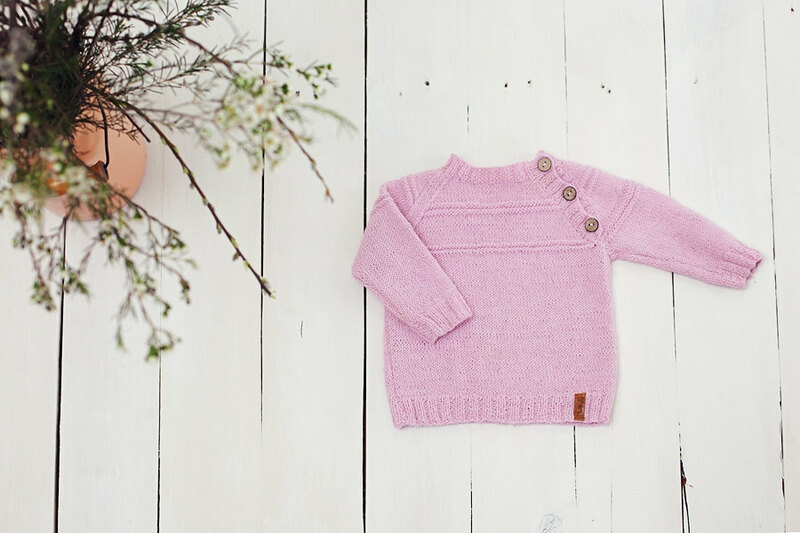 The Most Adorable Baby Clothes – Ever! Here’s proof that a cute and colorful flower print can look extraordinary in the shape of a baby girl’s dress. How amazing is this? Crafted out of cotton fabric, the dress features a few thoughtful details that make it extra special: mother-of-pearl buttons, a satin bow and a little decorative wood button hanging from it. The dress will be hand made to order. And, if you do decide to go through with it, do know that there matching bloomers are also available! Made from the same printed fabric and featuring the recurring satin bow plus wood button detailing, they would make a lovely pair for this even lovelier dress. Visit the shop now! Suitable for both baby girls and baby boys, this onesie boasts an absolutely amazing design! And one-of-a-kind one, too, as it is hand made using natural indigo dye and shibori dying techniques (the material is twisted, knotted, folded etc. to create unique patterns). The item comes pre-washed. In order to keep the color beautiful for a longer period of time, try to avoid repeated washing and excessive exposure to direct sunlight. This deep, eye-catching hue will totally be worth it – swoon central! For more details about the dying technique and instructions for upkeep, refer to the link above. The ideal choice for the dapper baby boy in your life, this set includes 3 pieces: the collared onesie, the shortalls and the matching bowtie. Without a doubt, this would be a smashing ensemble to be worn on any special event like a baptism, a photoshoot or a birthday party. So much fun! You can also take these pieces individually and pair them with other items in your boy’s wardrobe. Functional, versatile and charming! The top is made out of cotton, the shorts are lined and feature adorable tiny detailing like faux pockets, and the straps are looped together so they don’t have any chance of sliding down. As for the bowtie? It’s the cutest finishing detail ever! For more details about construction, fit and sizing, click through the link above. Awww! A cute and light choice for the upcoming summer months, one of these rompers would make a baby boy look extra-adorable. The rompers are made out of soft cotton and finished with French seams, which are gentle against the skin. They also come with buttons, so you can adjust them to fit the baby as he grows. Last but not least, they come in three colorways, as photographed: white, navy or anchor-and-lighthouse print. You can also pick the desired button finish: navy, white or fabric. Pay special attention to sizing when ordering! You’ll find special instructions in the original product listing.